Answer: On the top you will note there is a link named "Sign In". Here is where you will login. Answer: At the login page there is a section entitled "Forgot Password?" You can key in your email address and click on the "Submit" button. Then goto your email box to check new password. Check your login details. Your login username is the email address you used for registration. It might be a problem caused by Auslinktrading.com system maintenance - Please wait 10 minutes and try again. Ensure that cookies from www.auslinktrading.com are accepted in your browser (Internet Explorer or others). If nothing works please submit a ticket, our customer service will help you solve it out. 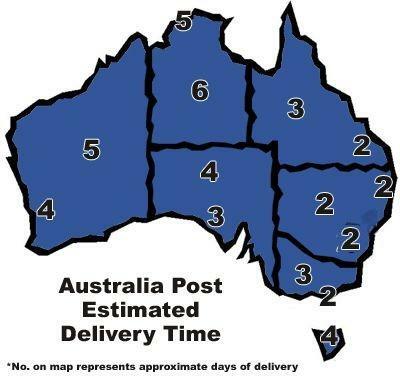 If your delivery address is within Australia or if you are purchasing from overseas and sending the item to someone within Australia, 10% GST Tax will be added to your order. Oversea delivery address do not charge GST (Tax Free). It might be a problem caused by Auslinktrading.com system maintenance - Please wait 10 minutes and try again. Ensure that cookies from www.auslinktrading.com are accepted in your browser (Internet Explorer or others).